Comments: Suitaable for growing in containers and excellent for indoor situations. Leaf and flower color vary from clone to clone of this species. 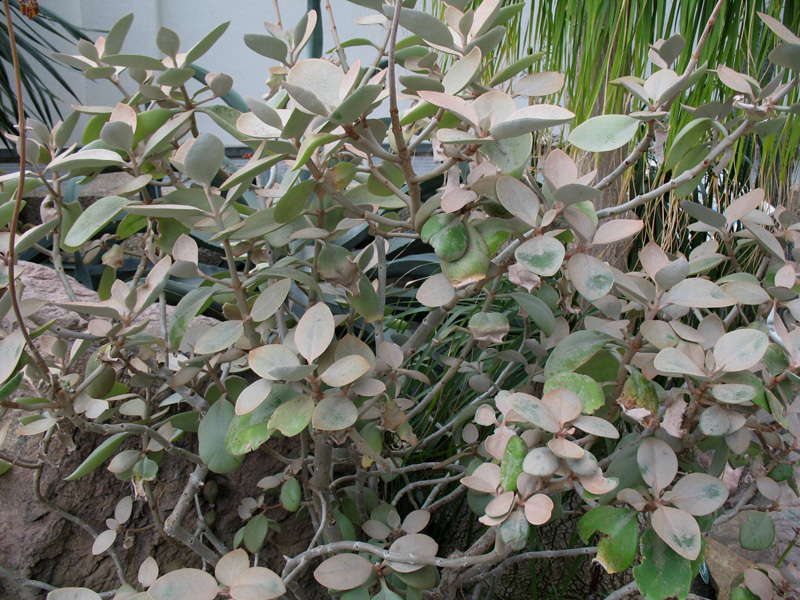 Some leaves are copper colored during warm weather and fades to almost gray during winter. This is a shrub-like succulent.